My personal reading time has not been as plentiful as I would like, but we are definitely in a read aloud groove. I’d love to increase our read aloud time a bit more but, well, only so much will fit in a day, right? Last week, I mentioned a few books that we were enjoying but that was not all! I think you might find that you want to grab one or two of these to share with your children. Twenty-One Elephants and Still Standing (April Jones Prince) was sitting on a display at the lib rary. I took a peek at the inside cover and knew I was tossing it in the bag to bring home. 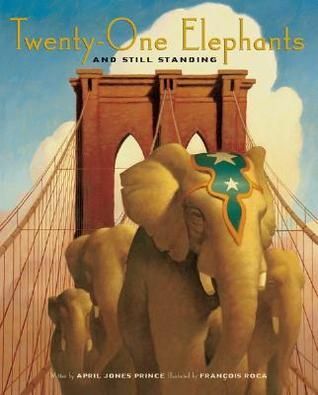 Twenty-One Elephants tells the story of the Brooklyn Bridge and how some doubted if the bridge was really safe to cross. Would it hold? How much weight can it hold? One man sees opportunity before him. P. T. Barnum (creator of the Greatest Show on Earth) decides to show just how strong the Brooklyn Bridge is. Twenty-one elephants, including prized Jumbo, travel across the bridge. This is a fabulous recounting of a true event. Although the author does take a bit of license with including Barnum in the actually crossing. Historical records do not show if he crossed with the elephants or not. The illustrations (Francois Roca) are beautiful as well. They capture the time period wonderfully. My children loved the illustration that showed the shadow of the elephants approaching. Well done! 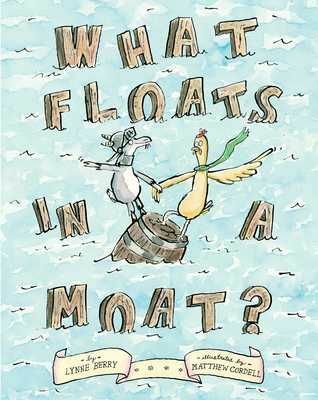 What Floats in a Moat? (Lynne Berry) was a surprise to me. The fun cover and rhyming title caused me to grab it from the shelf. In my mind, I was thinking it would be a book that my newest reader could enjoy and perhaps read to her younger siblings. Well, all my little ones enjoyed it but it turned out to be a book about Archimedes. Also known as Archie the Goat. Ahem. Archie, with the help of Skinny the Hen, needs to get across the moat to the castle. While Skinny recommends the drawbridge, Archie does not agree; it is time for science! A handy barrel is the perfect way to cross the moat. It is once you discover the proper weight needed so that it will float. It even has a fun ending when Archie crosses the moat. What Floats in a Moat? was an enjoyable read that caused an unplanned science discussion. 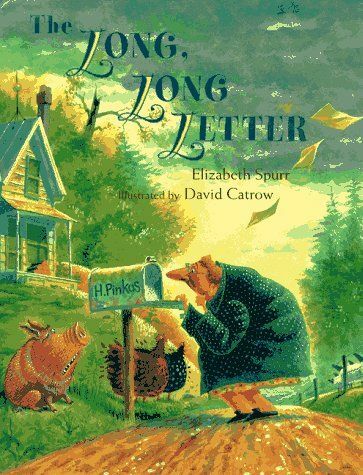 The Long, Long Letter by Elizabeth Spurr is about Hetta Pinkus. She sits by her mailbox day after day waiting for a letter from her only sister. Hetta’s sister finally decides to write a long, long letter to make Hetta happy. The letter was so long that it took boxes and boxes to mail it. But a surprise whirlwind arrives and the long, long letter is blown away. Poor Hetta is still by the mailbox snacking on peanut butter and crackers…waiting. Then a December storm clouds arrive and what is that? Snow? No, pages and pages from a long, long letter! All the towns people have to come and help Hetta dig her way out! This is a bit of a tall tale that your children will love. David Catrow’s watercolor illustrations suited the tale perfectly. My young ones loved the pictures. It also might encourage your child to write a letter to someone who might need a bit of mail to brighten their day or even make a visit. 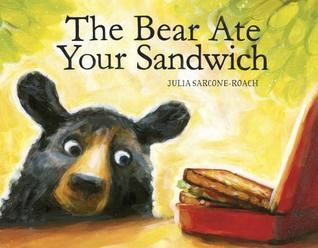 The Bear Ate Your Sandwich (Julia Sarcone-Roach) is just a simple, fun, humorous tale. Your sandwich has gone missing!!! Well, someone knows exactly what happened and it all started with the bear. Mmhmmm. A hungry bear found his way from the woods to the city. The city was interesting and fun; full of great smells. Nothing was as wonderful as your sandwich. All by itself on a park bench. Yep, the bear ate it. Or did he? You will have to check it out to find out exactly what happened to that sandwich. For our family read aloud, we read Peter Nimble and His Fantastic Eyes. This comes from Jonathan Auxier who also wrote The Night Gardener. While The Night Gardener was a Victorian ghost story, Peter Nimble is an exciting adventure of a blind boy who just happens to be the world’s greatest thief. Peter, blinded by a raven as a baby, raised for a short while with a cat, finally ends up in the hands of Mr. Seamus. Mr. Seamus uses Peter’s skills to fill his pockets while keeping Peter locked away. Until Peter meets a mysterious haberdasher and finds the Fantastic Eyes. This leads him on a journey to find the Vanished Kingdom. He will encounter many sights and wonders and realize a destiny he never imagined. Every free moment we had, my children were asking for me to read another chapter or two. It truly is a great adventure that will leave your children hanging at the end of each chapter. Peter Nimble also offers up much to share on character, what really determines the person that you are, and the value of true friends. I might have had Peter Nimbles running through my house the past few days. Bandaged eyes, burgle sack, and boxes of fantastic eyes abound…. 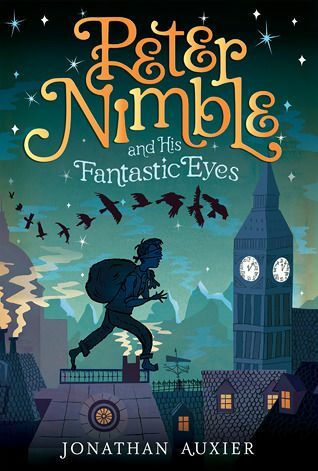 If you are looking for a read aloud, Peter Nimble and His Fantastic Eyes might be the adventure you need! As we closed Peter Nimble, I had no idea what we were going to read next. I happened to have The Green Glass House (Kate Milford) so the children asked me to read it. So far, it is going a bit slow but hopefully it will pick up a bit. What is in your read aloud basket? This entry was posted in Book Reviews, Books, Read alouds, Something to Share and tagged Books, family, literature, reading, review by sweetie. Bookmark the permalink. I hadn’t heard of several of those! Thanks!!! Thank you for linking up to RAT! I’ve seen a couple of these picture books, but it has been a long time. I’m pretty sure my current picture book lover, the 4 year old DLM, hasn’t seen any of them. I really need to read Peter Nimble. I did like The Night Gardener but didn’t want to give my sensitive girl nightmares, so I didn’t even attempt it as a read aloud. Auxier is a talented author for sure! I liked Green Glass House but didn’t love it. I’m not sure how it would go over as a read aloud. I’ll be interested to read your thoughts!